Now it's time to school about to finish pots. 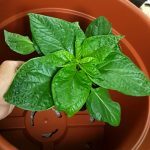 » Chili – Hobbyodling av chilipeppar! 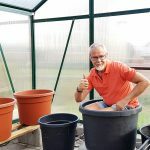 save space indoors and because I think it works great to go to large pots with plenty of Earth if you only plan on being careful about watering the first time. 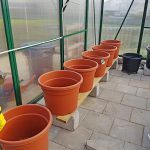 right now, they have grown big and strong in 13x13x13 pots. 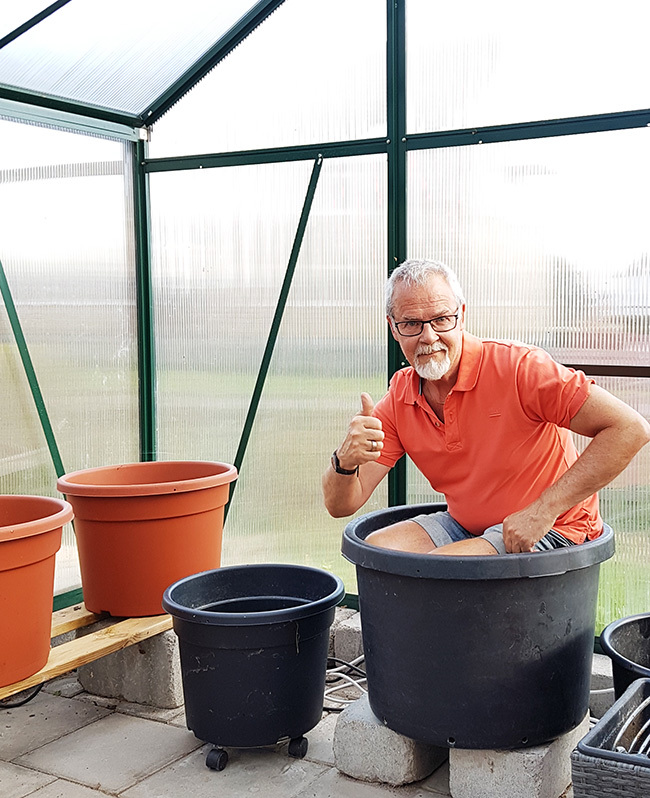 Do you want to see how I am doing so check out this little video where a little plant gets a big pot. 7 Responses to Now it's time to school about to finish pots. Put my in the pots for one week ago, were perhaps a little early with the benefit of hindsight but you learn by mistakes. They have the least pulled off(don't have a greenhouse so must stand inside than). So what I wonder is if it is OK to let them bloom and set fruit indoors now? Or will they be shocked and lose the fruit when they moved outdoors in a month or so? 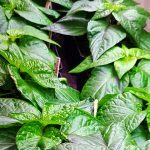 The plants might at best can stand out to the middle/end of september on the balcony before it gets too cold. Single can I take check, but I have some 20 plants. Hi! Yes you can let them bloom and set fruit indoors. Chilli set fruit when they are ready so be patient it may take time. There should not be any danger in putting them out later they bloom all summer. Really nice blog you have with very good information. Thank, on trestles! 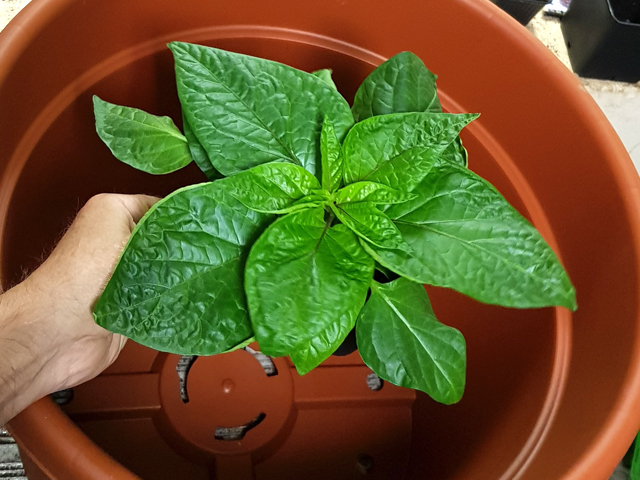 Have put bird's eye chillies in February which has now taken the very nicely and sits in 1 l pots. The only problem I have now is to familiarise them with the Sun. 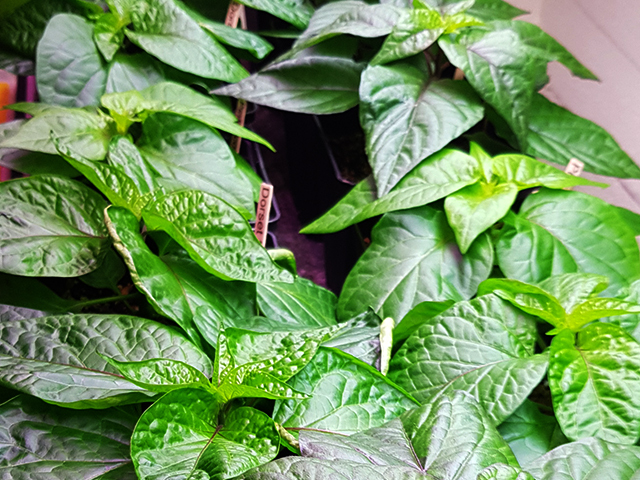 Have had them for LED tubes and I find them have grown very well and is really nice when they stand over them but as soon as I take them out in the Sun, it hardly 30 my so hang all the leaves on the plants down along with the trunk. Have tried to get used to them maybe 5 times but takes them in the shade after about 45 my – 1(h) when those start to slokna very fast, already after 15 -20 my. Are they ok to have them left out yet or is just more times before them is van? Hi! It is normal that they become saggy they are not familiar with the heat we have now. You can help them by putting over a piece of nonwoven fabric. After a week they usually have got used to. Make sure they have good with water as it evaporates quickly in the pot in this heat we have out now. Hi! It takes about 2 weeks for them to establish themselves. 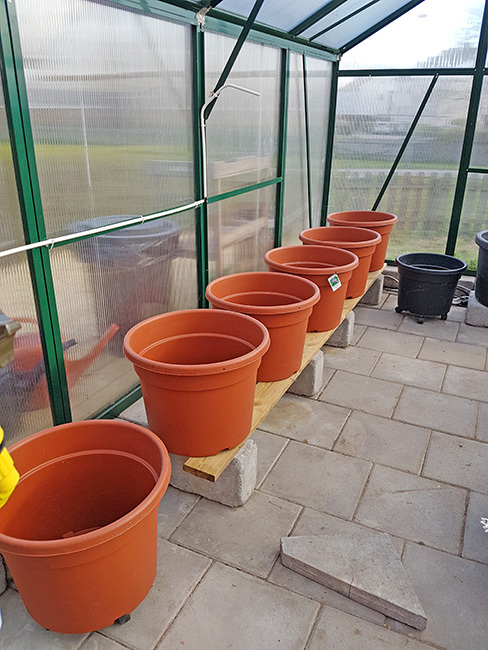 put them in the shade the first week and give them some Sun in the second week so it arranges itself. Hi! Jag köper dessa direkt från yrkesodlare. Kolla om du har någon i närheten och fråga om du får köpa några stora krukor.